If you tire of the grand, monumental buildings of Vienna – and the smug gentility of so much of the city centre – relief is at hand in a quiet residential backstreet, 10 minutes’ walk from the central Wien Mitte train station. 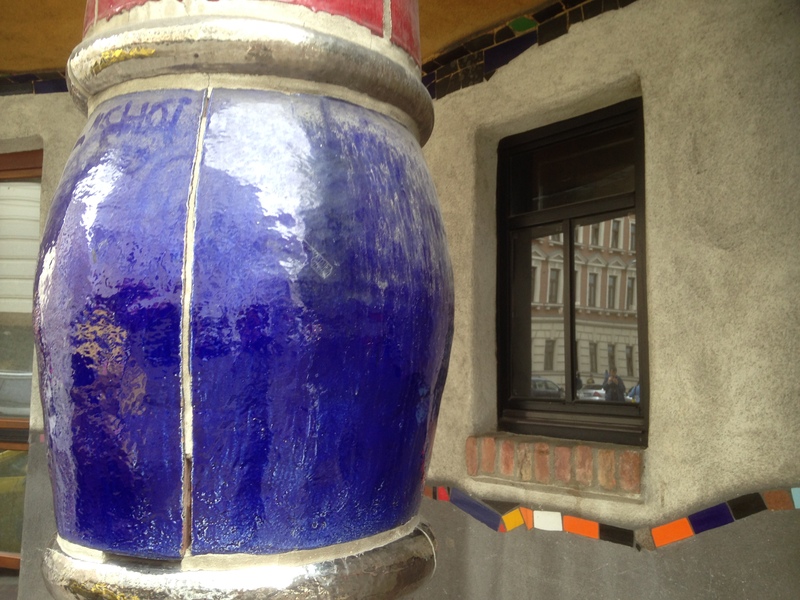 Hundertwasserhaus – the building at Kegelgasse 36-38 – doesn’t so much line the street as pour along it, in a sinuous wave of colour that shakes a fist at conservative Vienna and shouts, “Baroque? No chance, this is what people want!”. And want it they do, if the crowds of enthralled visitors are anything to go by. You can’t even go inside, but hundreds of people a day are content to drift around outside, snapping photos of one of Europe’s most extraordinary apartment buildings. Like Gaudi in Barcelona before him, the naturalistic Austrian artist known popularly as Hundertwasser (1928–2000) abhorred a straight line and standard geometry of any kind. He was an individualistic, anti-authoritarian environmentalist, whose art and architecture spoke volumes about his belief that man and nature should be equal partners. Buildings should be built for humans; trees should be planted wherever they can, including in rooms and on roofs; and windows have a duty to be painted and embellished. Hundertwasser go t the chance to put his ideas into practice in Vienna, when the city invited him to design an apartment building, which was completed between 1983 and 1§85. Go early in the morning, before the crowds start to form, or come at the end of the day when the setting sun adds a deeper tone to the vibrant facade. “Uneven” doesn’t even begin to describe the building you’re looking at. It’s what Hundertwasser himself called a “divine melody”, in harmony with nature – and about as far removed from the rest of Vienna as is possible. 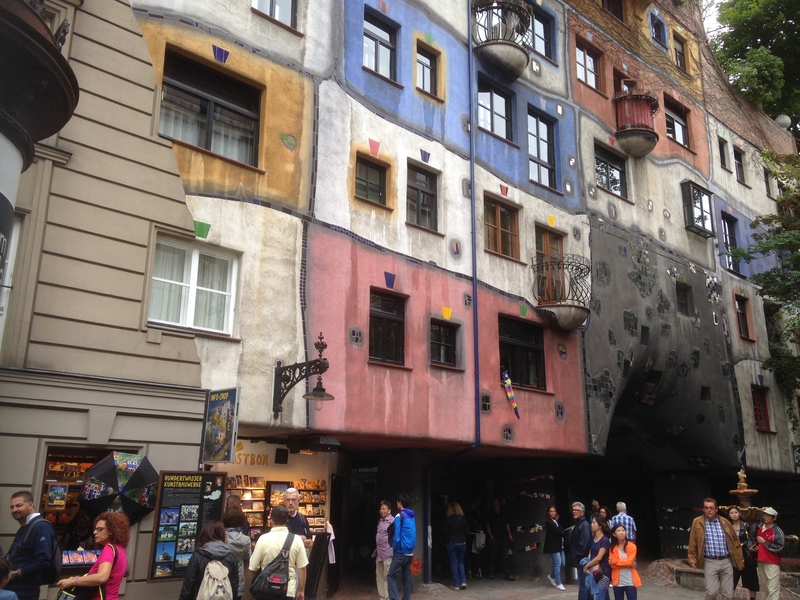 “Some people say that houses consist of walls”, said Hundertwasser. “I say houses consist of windows”. 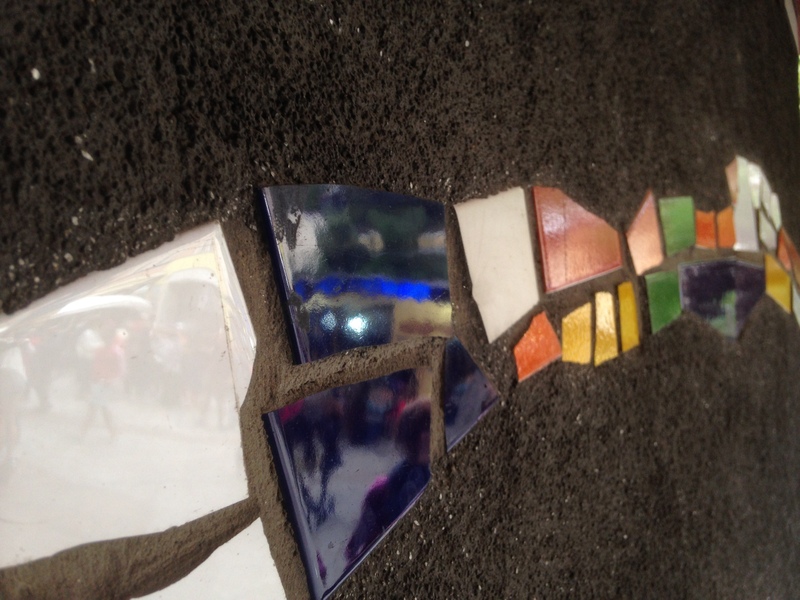 And, he might have mentioned, ceramic swirls, vibrant tiles, undulating contours and a great sense of fun. Traditional architects, of course, hated it, but what do they know? Hundertwasserhaus, Kegelgasse 36-38. It’s an easy walk from Wien Mitte (which is where the airport train comes in, so you could even duck out to see the house on a quick Vienna stopover). Museum Hundertwasser, Untere Weissgerberstraße 13. Five minutes’ walk from the house (signposted), the museum devoted to his life and work is also worth calling in on. Jules – I loved this piece. For me discovering a city is all about the unexpected. The apartment block is original, quirky and now a landmark. I’d say that’s 10/10 for the designer. Good for him! Good for you for recognising authenticity when you see it. It’s quirky all right! You turn the corner from all these grand Neoclassical mansions and boom! There it is – an amazing place.